Advertisements allow websites to earn money from the internet. While some websites display one to three of them, there are portals that display a lot of ads, pop-ups and floating banners. Exploring such sites is a headache for the user. When you’re browsing from a mobile phone on a slow connection, ads will take some time to load and web-pages will be rendered slowly. To get rid of this problem, you should use adblocker module. On Windows or Linux PCs, you can install the extension for a browser. 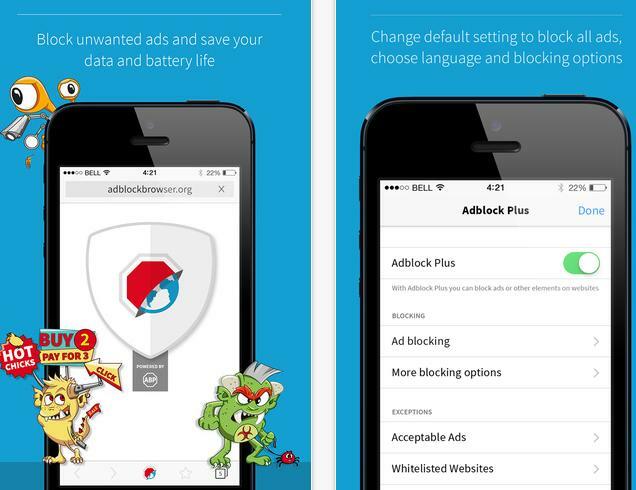 On Android phones, the AdWay app or ad block browser will do the job for you. The user can get the browser from the play store or Apple iTunes store. AdWay is an open source application which hasn’t been published on the play store. You can install it on rooted tablets and phones only. AdWay modifies host file of Android to block all types of ads on websites and in apps. It downloads the latest host file which features a list of URLs of advertisement platforms. To install it, you must install f-droid APK on your phone (download link). The APK of this application will download a list of repositories from which the user will be able to download new apps. When the list is updated, you’ll see a list of apps on the main interface of F-Droid. The applications which may or may not required root access. Find AdWay from the list and install it. Rooting is easy, but it cancels the warranty on a device. If the warranty is not over, use Ad block browser else download AdWay and use it. On custom ROMs like CynogenMod, Mokee, Resurrection remix, AOSP, you’ll have to enable root permission from the developer options. Developer options are disabled on Android devices by default, but you can easily enable it by tapping on the kernel version option in about phone 5 or 7 times. I use it on Android 6.0 handset with root access. AdWay works like a charm with all browsers which includes Google Chrome, Mozilla Firefox, UCBrowser, Maxthon, etc. It speeds up browsing and automatically blocks ads from loading on a web page. Using Two WhatsApp or Snapchat accounts on same phone	Earn Talktime and Data app for Android : Does it really work?